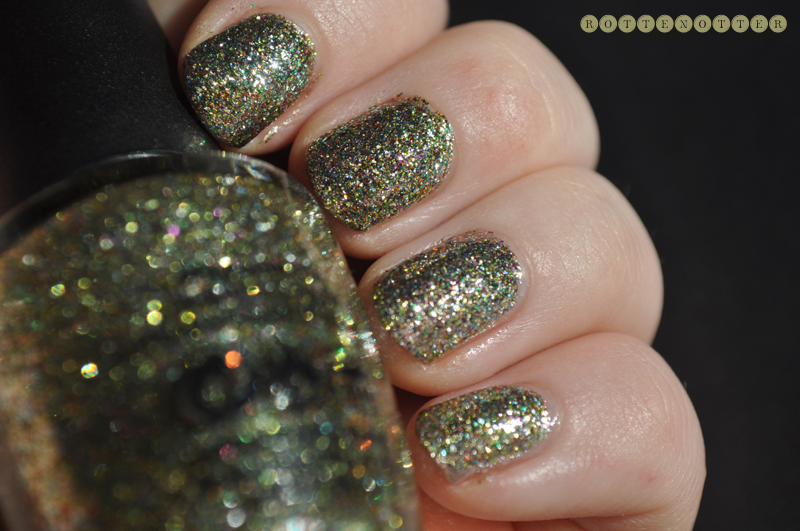 Glow Up Already from the 2010 Holiday Burlesque collection is mainly a light green glitter in a clear base. But it's also packed full of red, fuchsia and blue glitter. In some lights the gold glitter can look gold which you can see in the last photo. This took 3 layers to be opaque, I could have gotten away with 2 if I wasn't taking a photo of it. Wow this is gorgeous! I love a bit of sparkle! This colour is insanely beautiful.